Often people who come to see me are anxious about remedy dosing. This is natural, because they want to realize the maximum benefit for themselves and their children. One of the most frequently misunderstood aspects of homeopathy surrounds the actual handling of doses of homeopathic remedies or medicines. It doesn’t help that there is quite a lot of mythology surrounding homeopathy, and some of this mythology is reflected in ideas or “rules” about dosing and handling remedies. With more than 15 years of full time study and practice in homeopathy, I thought it might be helpful to share my experience with you. The names of remedies are usually given in Latin because this provides the best way to identify the remedy source in a unique way. For example, there are thousands of remedies made from plants and using Latin names provides a precise identification of the plant source for a remedy. The only downside is that the names are often difficult to spell and hard to pronounce. Remedies can be supplied in liquid or solid form. In this country the most common way remedies are supplied in the form of 2.0 mm or 3.5 mm diameter solid round globules. Usually these globules are comprised of approximately 80% sucrose combined with 20% lactose. Less commonly the globules are made of 100% sucrose. Sucrose is simply refined white cane sugar. Lactose is a form of sugar derived from milk. If your child is very intolerant of milk, you can ask your supplier to provide the remedy on xylitol (pronounced zee-lit-all). Xylitol is a form of sugar derived from straw, corncobs, oat hulls, and cottonseed hulls. If your child is intolerant of corn and milk, you can ask for the remedy to be provided in liquid form. If your child’s remedy is supplied as a liquid, ask your homeopath how to prepare and give it. There are too many variations in style of dosing with liquid remedies to discuss here. Globules, pellets, pillules, or pills are all the same thing. “Remedy” usually means “globule” as well. Homeopaths prefer that, as a matter of hygiene, you avoid handling the globules. Also, if you touch a globule you’ll get a little dose of the remedy yourself – by absorption, from holding the remedy in your hand. This handling, however, will not spoil the dose. Most parents (or pet owners) won’t feel any effect from the little dose they absorb through the skin. Rarely, in the few cases where I have seen this cause a bit of an upset, it was easily resolved. This method of dosing is the quickest and most convenient way to dose, but it is not always suitable in some cases. Here’s a tip: Take a clean, tiny piece of paper, about twice the size of a postage stamp and fold it twice lengthwise into a kind of chute. Place the remedy (globule) into the chute and pinch it there between your fingers until you release it and roll it down into your child’s (or pet’s) mouth. You won’t touch the dose yourself, and you won’t risk dropping the dose, or chipping a tooth or poking an eye as you might when offering a remedy on a spoon, aiming for the moving target of an open mouth! One globule is sufficient as a dose. In my experience, several globules do not work better than one globule. Don’t worry if your child or pet gets a few globules all at once – the remedies are not toxic and a volume of globules at one time won’t lead to an overdose. In fifteen years I’ve twice had worried moms call to tell me that their children ate an entire homeopathic first aid kit. The child is simply after the sugar. Nothing terrible happened since the remedies are non-toxic. The children were simply a bit unruly for a short time as after a sugar binge. It can sometimes be impossible to avoid handling the globules when giving remedies to pets or to children. The simplest solution is to crush a globule between two spoons and dissolve the pellet in a bit of water – up to 1/4 cup. To administer a dose, stir, and give a few drops of the liquid. Don’t give the whole glass of liquid as a dose – it will be too much. Liquid doses work at least as well as dry doses. It’s best to use filtered or unflavored, non-bubbly spring water to dilute the remedy. Do not use juice or other liquids. Once a dose, whether dry or wet, has made contact with the mucosal tissue inside the mouth, the dose has been made – even in the rare event that the child spits the dose out. It is fine if the remedy is slowly dissolved in the mouth, or if it is simply and quickly chewed and swallowed. There is a complex of factors to consider in devising a dosage regimen, and an almost unlimited number of variations in what can be considered to be suitable dosing. Sometimes daily doses are best. Other times, doses at long intervals, weeks, or longer, can be suitable. Your homeopath is in the best position to advise you about what is likely to work best for your child. Avoid giving a remedy at a difficult time of day. For example, avoid giving a dose at bedtime if your child is having trouble sleeping. It’s usually better to give a dose earlier in the day, away from the time of trouble. Give your child a dose later in the day if he or she is usually cranky in the morning. Try to avoid food or drink for at least five minutes before and after giving a dose. Don’t give a remedy with a mouthful of food, or right after tooth-brushing. Keep the remedies in a cool, dark, dry place, away from strong smells (pot-pourri, spices, etc.) Refrigerator and bathroom cabinets are not good places because they are damp and sometimes moldy. Also keep the lids of the bottles tightly closed. Keep the remedies away from the microwave oven, and from electrical panels – the microwave and electromagnetic field seem to weaken the remedies over time. Don’t leave the remedies in car on hot day – the heat will weaken them. Keep out of reach of children, as with any medication. This is one area where I see a great deal of unnecessary concern. For example, people are generally worried about coffee, mints, or peppermint toothpaste antidoting the effect of the remedy. Also some people worry that they must not eat or drink for up to an hour before or after dosing. My experience is this: coffee, mints and peppermint toothpaste rarely cause a problem and there is more concern than necessary about avoiding these substances. I also have found that a five minute interval before and after drinking and eating is sufficient when taking a remedy. Just don’t take a bite of your sandwich and the next moment take a dose of your remedy. Likewise don’t wash your remedy down with a drink. It is important to be practical about these things – we, and our children have full days, and it can be unnecessarily constraining and difficult to find an “empty hour” for taking your remedy. In some instances there are specific antidotes for specific remedies. For example some people who take the remedy Sepia crave vinegar. Strangely, vinegar can antidote Sepia, so in a circumstance such as this, I will ask only that person, and not all my clients, to avoid vinegar. All of this said, there are two groups of substances to avoid since they will almost always interfere with or antidote the effect of homeopathic remedies. The things that will almost always antidote homeopathic remedies are: Camphor, Vicks, Eucalyptus oil, Tiger Balm, Carmex, Blistex, Icy-Heat, Tea Tree Oil, Noxema, and Pau D’Arco tea. 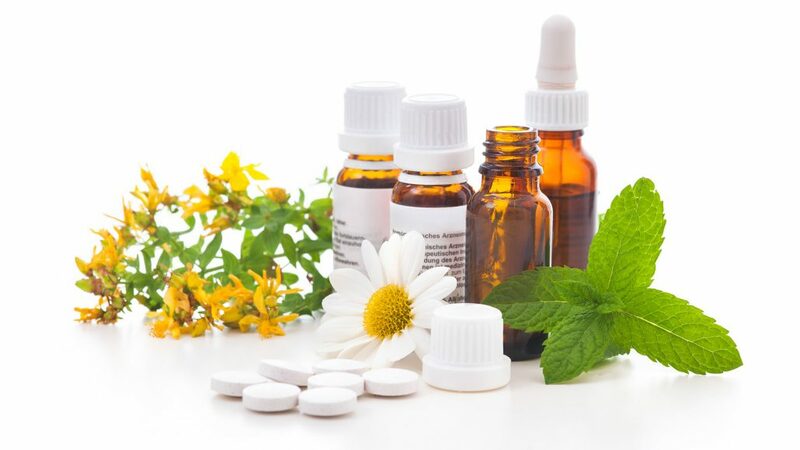 Exposure to strong smelling substances like essential oils, aromatherapy, powerful perfumes and strong incense can also blunt or weaken the effect of a homeopathic remedy. I usually ask the people who see me to avoid exposure to similar things. Whatever you do, be polite and don’t get into an argument with the security agents. If they insist on x-raying, the remedy will still work, but probably it will be a bit weaker. In any case, remedies are inexpensive and easily replaced – so there is no need to be upset if an agent is determined to x-ray everything. And it is definitely better to carry your remedies on board with you than in your checked luggage, since the x-rays used for checked luggage are even stronger. Use this link to access the rules regarding hand inspection of medications. You can print information from the Transportation Security Agency website advising that hand inspections for medications are now available. This page is useful to have when a new or uninformed agent insists on x-raying. Don’t be afraid to ask for clarification about how to best provide doses for your child. Using remedy globules might feel a bit strange at first, but you will find it quite easy to dose with a little practice. Just relax with the process – your child will likely look forward to taking his or her sweet little remedy. For further information – read about how remedies are made in Amy Lansky’s wonderful and fun to read book Impossible Cure. Impossible Cure is the single best book for people new to homeopathy. © 2005 by John Melnychuk, R.S. Hom. (N.A.) C.C.H.